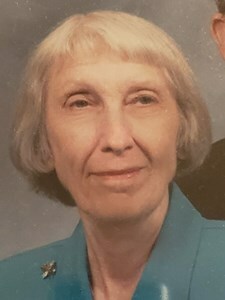 Mary “Joan” Hester age 87, of Orlando, Florida went to be with the Lord on April 2019. On June 28, 1931 Joan was born to John “Jay” and Ila Crissey in Orlando Florida. Joan grew up with brothers Merrill and Johnny Crissey. Joan graduated OHS, went to vocational school to become a beautician. In 1957 she married Hubert (Neil) Hester, and had a happy and blessed marriage for 62 years. They had 2 children, Jay and Ted. Joan was very active in her church. She taught Juniors in Sunday School. She also worked in the church nursery for many years and also worked in Vacation Bible School. She also served on the committee to update the history of Delaney Baptist Church. Her church was always very important in her life. Joan is survived by her husband Neil, sons Jay and Ted, his wife Vonda and granddaughter Amanda. She is also survived by brothers Johnny and Merrill. Other family members including 10 nieces and nephews, 13 great nieces and nephews, and other close people considered as family. Visitation is Wednesday, April 10, 2019 from 10am to 11am with funeral service starting at 11am at Delany Street Baptist Church, 1919 Delaney Avenue, Orlando, FL 32806. Add your memories to the guest book of Mary Hester.